Eric Clapton, The Allman Brothers and many more! Music Under the Stars Tues., July 9 @ 6:30 pm. 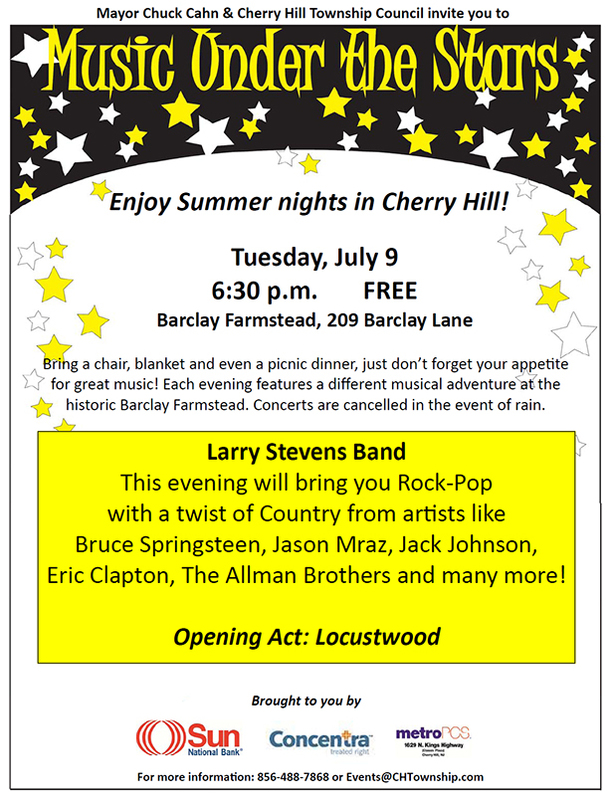 Enjoy Larry Stevens Band with opening act, Locustwood. Free. Call 856-488-7868 for info.